Coming soon to a fridge near you. Twenty-two years after the company folded, beloved soft-drink company Original New York Seltzer is back in business. This is fantastic news. The brand was beloved by nearly everyone who ever tried one of the stubby little bottles, and nostalgic fans have been hankering for a revival. 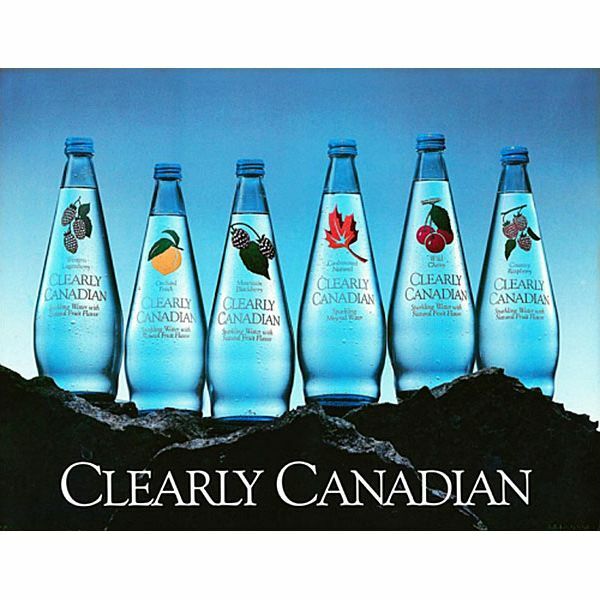 The even better news, though, is that Original New York isn’t the only ’90s soft drink that’s about to make a comeback: Clearly Canadian is back at it, too, rescued by American venture capitalist and professed lifelong fan Robert R. Khan. Clearly, there is something going on. Before they disappeared, Original New York and Clearly Canadian were part of a new wave of soft drinks that emerged in the ’80s, a group that also included La Croix, the flavored sparkling water that has been enjoying a bit of a comeback itself. These drinks weren’t like colas, though — in a way, the thing they have in common is that they’re like the anti-soda, transparent relics that eschewed preservatives and artificial coloring in favor of a more natural, New Age-y approach. When all three brands first emerged, they were riding a wave of sodium backlash that catapulted seltzer from a Northeast staple to a national fixation. Though Original New York was not truly seltzer — it’s a soft drink — and Clearly Canadian was not in fact water — it had too much sugar — the clear drinks were an appealing alternative to sugar-laden sodas at a time when transparency was marketed as purity. (On their website, La Croix maintains a nutritional FAQ page that goes deep into pH balance, phosphoric acid, and how your medication will react to the grapefruit flavor.) Mostly, though, these soft drinks were so popular because people like the way they tasted. For those turned off by the intense sweetness of big-brand sodas, La Croix, for example, is a respite for weary palates. In the years since Original New York and Clearly Canadian went out of business, fans have vocally lamented their mutual demise. One Facebook page devoted to bringing Original New York back went so far as to call the soft drink “possibly the tastiest non-alcoholic beverages ever.” That both are coming back at the same time isn’t a coincidence. Renewed health concerns have led to another backlash against soda, peaking with former New York mayor Michael Bloomberg’s ultimately unsuccessful soda size cap. But if the reactions to the respective returns of Original New York and Clearly Canadian say anything, it’s that people’s enthusiasm has not waned. Dorky tale: I was so obsessed with Original New York Seltzer as a teen in KY, I decorated my room w/ labels. Found it ever so sophisticated. So there is a lot of excitement, and rightfully so. But given all this renewed interest, there’s only so much time left before Big Soda moves in and tries to reappropriate the cause for its own nefarious purposes — just as it did when these clear soft drinks were originally on the market. The big question is, who will it be? Grub’s money is on Crystal Pepsi, the short-lived transparent soda that, over two decades after its demise, still somehow inspires a feverish, if ironic, following. Really, how hard would it be for Pepsi to prep a revamp of this ad in time for the next Super Bowl?